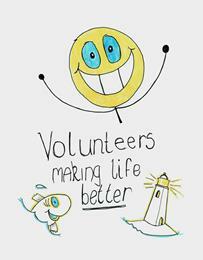 If you are a caring person with a little time to spare, you can be a Hayle Volunteer! This can be anything from being a 2-minute volunteer, picking up the litter outside your house, to joining Rotary or Lions for a regular commitment. There are many other ways you can contribute to the life of our community. e-mail samuelmarsden@hotmail.com for a registration form or go on to the Register’s web page. The Hayle Volunteers’ Register has been set up in response to the cuts to services increasingly being made by Central Government and Cornwall Council. Its purpose is to provide a comprehensive voluntary resource to meet the current and future social needs of Hayle as a community by putting voluntary organisations in touch with individuals within the community, who have the time and skills to enhance and extend existing services or to create new ones.